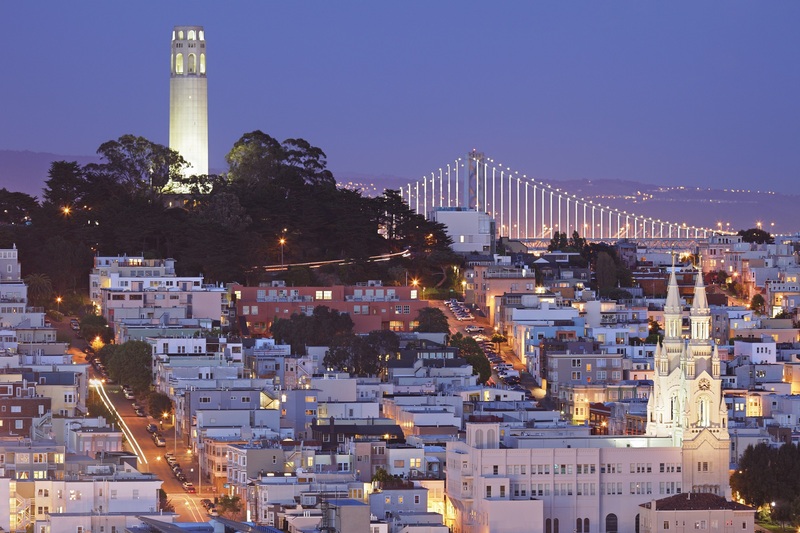 In the area bordered by Chinatown, the Financial District, and Russian Hill, you’ll find San Francisco’s Little Italy. Charm and caffeine aplenty abound here, particularly in the smaller alleys, bookstores, and beloved watering holes such as the venerable Vesuvio and the lesser-known, but still adored, Specs. North Beach is where it’s all happening. The historic center of Beat subculture – think Allen Ginsberg, Jack Kerouac, and Neal Cassady – North Beach today is a center of San Francisco nightlife, particularly on Saturday nights when partiers abound and parking is nary to be found. According to the American Planning Association, North Beach is one of the ten great Neighborhoods in America. Get in touch and I can help you make that great neighborhood your Beach own home. One of the most notable past residents of North beach is Joe DiMaggio, for whom the playground at Columbus and Lombard Streets is named. (And what a playground it is – you just have to experience it for yourself, complete with the slides built into the hill!) DiMaggio grew up in the area and never truly left, according to his obituary in The New York Times. “No matter where he lived, Joe DiMaggio’s home was always North Beach, where people knew him when he lived in a rented flat on Taylor Street with eight brothers and sisters and played sandlot ball in hand-me-downs, same as everyone else,” Times writer Evelyn Nieves wrote. Whether or not you aim to be the next North Beach celebrity, this is an area well worth investigating. If you’re looking for the best apartments in North Beach, consider some of these luxury buildings: Crystal Tower Apartments in North Beach, The Telegraph Hill Apartments, and The Paramount Luxury Apartments. Here you’ll find such fine amenities as professional onsite management, controlled resident access for security, access to amazing food (you’re in North Beach, after all), and thoughtfully appointed floor plans in which one space seamlessly flows into the other. As a local real estate agent in North Beach, I can help you find your dream home in any of these communities. Transit is terrific in North Beach, though it’s a short walk down the hill to the BART stations on Market Street. Buses are everywhere, as are cable cars. Coffee culture is alive and well here; just a few of the cafes you’ll find include Caffe Greco, the renowned Caffe Trieste, Hole in the Wall Coffee (known by some as the best coffee in San Francisco), Stella Pastry and Café, Norcina, The Spice and Tea Exchange, and Reveille Coffee Company. A word about parking: there isn’t much of any, really. Public transit is excellent, as with most of San Francisco – but if you simply can’t give up your set of four wheels, I completely understand. Get in contact with me and we’ll find a way for you to not only get yourself the perfect home, but a great home for your four-wheeled friend as well.